Bella Vista Apartments Enjoy Big Water Savings! 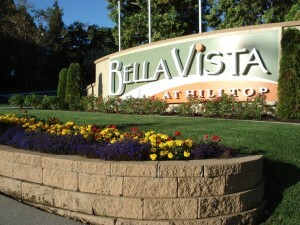 Bella Vista is beautiful apartment complex in Richmond. It is the winner of the GEMM (Greater Excellence in Management and Maintenance) Awards of the Greater East Bay. The property is 40 acres and much of the landscaping is turf. When Gardeners’ Guild started its service, May, 2009, Bella Vista had high water bills and the management also wanted to build a greener community. It is a testament to the advice we have given over the years to our clients. The first step in water conservation is to do a thorough irrigation diagnostic to ensure that it is running efficiently. https://www.gardenersguild.com/wp-content/uploads/gardenersguild-logo.jpg 0 0 sharris2011 https://www.gardenersguild.com/wp-content/uploads/gardenersguild-logo.jpg sharris20112011-04-13 23:22:182011-04-14 15:51:01Bella Vista Apartments Enjoy Big Water Savings!